The application phase for batch#10 has been closed. by seasoned serial entrepreneurs, tech experts, business angels, venture capitalists and experienced industry professionals. Knorr-Bremse and Miele and many other industry partners. We provide office space in the heart of Munich where our team is working hard to support you on all matters of your business. In our 1500m2 high-tech workshop “maker space” you have access to more than 100 machines and can build your prototypes. attended by 250+ VCs, business angels, industry representatives, successful founders and press members. What kind of startups are we looking for? driven, curious, and humble founders with a big vision! With more than 20 million members, the ADAC is Germany’s largest association, the largest automobile club in Europe and one of the leading providers of mobility services. The services are mainly offered as part of the ADAC membership(s) by ADAC e.V. The range is supplemented by a large number of products from ADAC SE (eg insurance, car rental, credit card) both in B2C and in the B2B area. As one of the best-known and most popular retailers, ALDI has been providing millions of people with everyday essentials for generations. In southern and western Germany, ALDI SOUTH employs around 43,400 employees. The ALDI SOUTH Group is represented by 30 independent regional companies, which oversee operations in around 1,890 stores. The ALDI North Group is represented by a total of 32 regions in northern, eastern, and western Germany. In Germany, more than 35,000 employees are employed by ALDI North. Customers can shop for fresh products in over 2,200 stores. DATEV is a software developer and IT service provider for tax consultants, auditors, and attorneys, as well as their clients. In addition to our members, our clients include companies, municipalities and institutions. The cooperative’s range of products and services encompasses the fields of accounting, personnel management, business consulting, taxes, enterprise resource planning (ERP), IT services, IT security, and training and consultancy. DATEV was founded in 1966 and today is one of Europe’s largest information service providers and software development companies. Festo is a worldwide leader in automation and a world market leader in technical training and development. Regarding automation, Festo offers products, systems and services surrounding pneumatic and electrical control and drive technology – whether in the factory or process automation sector. Festo Didactic equips technical training institutes and offers training and consultancy to processing industrial companies. Festo was founded in 1899 and has more than 20,000 employees around the globe with a company presence in 61 countries and after-sales services in 176 countries to serve its 300,000 customers. In 2017, Festo reported a revenue of €3.1Bn. 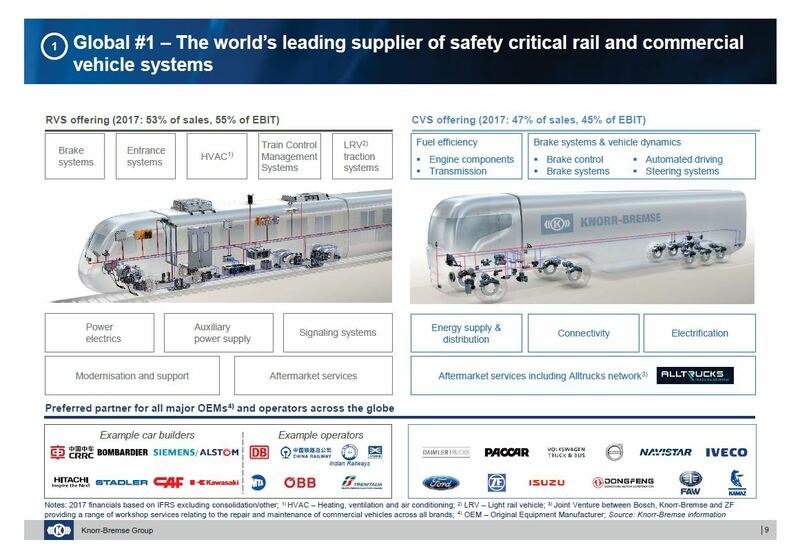 Knorr-Bremse is the global market leader for braking systems and a leading supplier of other safety-critical rail and commercial vehicle subsystems. (Link to product portfolio) Knorr-Bremse delivers braking, entrance, control and auxiliary power supply systems, HVAC and driver assistance systems for rail vehicles, as well as braking, steering, powertrain and transmission control solutions, and driver assistance systems for commercial vehicles. Approximately 29,000 employees at over 100 sites in more than 30 countries use their competence and motivation to satisfy customers worldwide with products and services. In 2017, Knorr-Bremse’s two divisions together generated revenues of EUR 6.2 billion (IFRS). Miele & Cie. KG is the world’s leading supplier of premium home appliances for kitchen, laundry and floor care. In addition, Miele Professional offers laundry care, cleaning, disinfection and sterilization solutions for commercial and medical applications. All product offerings are complemented by services – from customer service and cooperation to a wide range of innovation fields in the areas of product/services, market access/customer contact and creation of the value chain. During the business year 2017/2018, which ended on 30 June 2018, the company achieved a sales volume of €4.1 billion. At present, Miele is represented in 47 countries by company-owned sales organisations and in about 50 additional countries via importers. Miele has been an independent family-owned company since its establishment in 1899.